The Bermuda Police Service can now confirm the 7th and 8th road fatalities for this year, 32 year old Gladwin N’Tiko Smith and 23 year old Meshach Swan, who were fatally injured in separate collisions early Sunday morning. 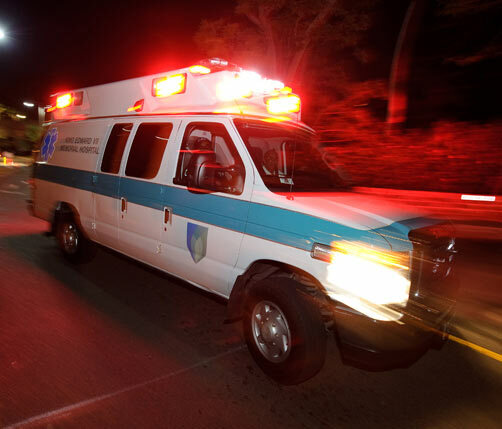 Mr. Smith died after the motorcycle he was riding collided with a roadside embankment and a stone pillar along Harrington Sound Road in Hamilton parish near the junction with Cedarberry Drive around 1:55am Sunday, July 20th. Mr. Swan died after the motorcycle he was riding collided with another motorcycle, apparently ridden by a 25 year old St. George’s woman with a 27 year old Sandys parish woman pillion passenger, along Middle Road in Southampton near the junction with Evans Bay Road around 3:45am Sunday, July 20th. At last check the St. George’s woman was in stable condition at the hospital’s Intensive Care Unit and the Sandys parish woman was in stable condition on a general ward. The Bermuda Police Service extends condolences to the families and friends of Mr. Smith and Mr. Swan. Investigations into both fatal collisions are ongoing and Family Liaison Officers have been assigned to each man’s family to assist them at this difficult time. Regarding the fatal collision in Hamilton parish, the investigating officer is particularly interested in speaking with the rider of a second motorcycle, believed to have been travelling with Mr. Smith prior to the collision. The second motorcycle rider as well as anyone with information on the whereabouts of 32 year old Gladwin N’Tiko Smith in the hours prior to 1:55am Sunday should contact Constable Timothy Evelyn at the Roads Policing Unit on 247-1145 or via e-mail tevelyn@bps.bm. Regarding the fatal collision in Southampton, the investigating officer is particularly interested in speaking with anyone who has information on the whereabouts of 23 year old Meshach Swan in the hours prior to 3:45am Sunday. Persons who can assist should contact Constable James Eli at the Roads Policing Unit on 247-1139 or via e-mail jeli@bps.bm. This weekend 91 tickets were issued for a variety of road offences including speeding, use of unlicensed vehicles, no third party insurance and no valid driver’s licence. In addition there were two arrests on suspicion of impaired driving, which were both detected during speed checks. While it would be premature to speculate as to the cause(s) of Sunday’s fatal collisions, the Bermuda Police Service continues to urge all road users to consider their driving behaviours as these personal choices, along with appropriate enforcement, will help make our roads safer for everyone.